I’m pretty sure I read this book in about a day and a half because I just couldn’t bear to put it down. The world is unique and imaginative and I felt like I was right there with Scarlett, wandering around and getting joyously lost (though maybe not quite as lost as her, thanks to the handy map in the novel’s front matter). Lots and lots of people are comparing this book to THE NIGHT CIRCUS by Erin Morgenstern, but I’ve never read THE NIGHT CIRCUS, so I can’t necessarily endorse that comparison. However, I can say that it’s got bits and pieces of lots of brilliant YA elements. There’s the game-that’s-more-than-just-a-game aspect à la THE HUNGER GAMES; the forbidden, but chemistry-filled romance similar to that of Edward and Bella; and the magical world that feels very Wonderland-esque. But the amazing thing is that Garber manages to take all of those classic elements and make something completely new and extraordinary. Simply put, CARAVAL is magical. And with such a clever and twisty ending, THANK GOODNESS the magic doesn’t end here. 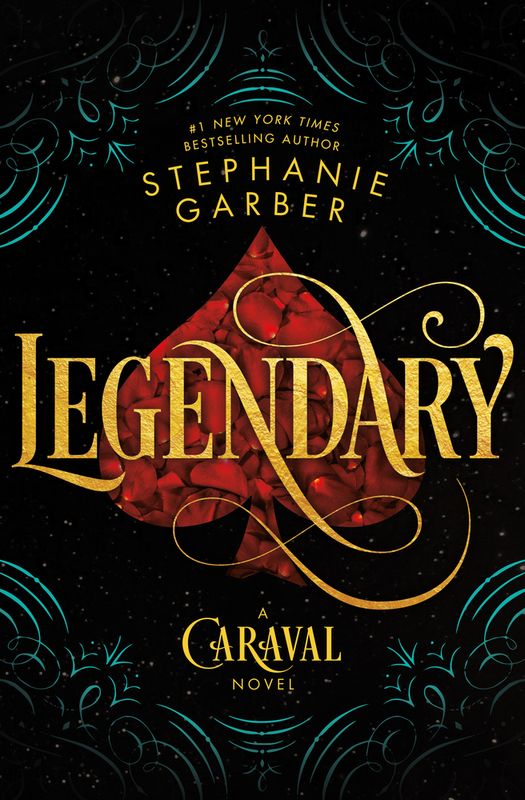 The sequel—LEGENDARY—will be available May 29, 2018 [insert all celebratory emoji here]! Switching gears a little . . . are any of you going to ALA Midwinter? It will be my first library conference and I’m really looking forward to it. I hope to meet many of you there so I can put a face to your Twitter handle / email address. If you are going, see you in Denver! And if not, hopefully we’ll meet soon!